First created in 1917 as a shoe for basketball players, it was soon endorsed by Charles “Chuck” Taylor who lent it his name. 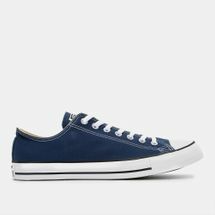 Over the years the Converse All Star shoe’s sleek silhouette has stayed intact, as its construction composed of comfortable stitched upper, rubber toe cap and sole has become the stuff of legends. Its versatile look has taken it beyond the realm of sports, and has been seen on the feet of countless athletes, fashion icons, musicians, movie stars, celebrities and more. With time the All Star Converse shoe has evolved and has been redesigned with different materials and finishes. Its comfort, styling and attitude however continue to be fueled by an athletic spirit as a means of expression. Bring home a classic by checking out the latest range of Converse Chuck Taylor All Star shoes for women and men online at Sun & Sand Sports and have your order delivered to your doorstep in Riyadh, Jeddah and everywhere else in Saudi Arabia, KSA. Originally created by Marquis Mills Converse in 1908, the Chuck Taylor shoes by Converse have come a long way. Designed with the intention of being the go-to elite shoe for professional basketball league, the shoe was composed of a rubber sole along with a canvas upper. Charles “Chuck” Taylor, an American basketball player joined Converse Company’s sponsored basketball team called The Converse All Stars in 1921. Taylor made quite a few improvements to the shoe he so dearly loved, as a salesman and athlete for the company. His ideas for the shoes were aimed at providing an enhanced flexibility and support with incorporation of a patch to protect the ankle. A lot of basketball players started to wear the All Stars and soon became the envy of all aspiring basketball players. It wasn’t long before the All Star Converse shoes started being worn by Olympic athletes and were also worn by American soldiers during World War II during their training regime. 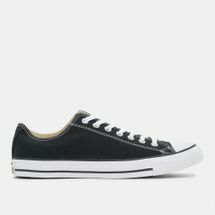 Converse started to expand their company and hence, started opening more factories in the 1960s. 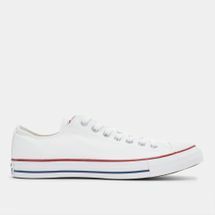 By almost ninety percent of professional and college basketball players the Converse Chuck Taylor All Star shoes were worn and as the years went on, the shoe gained more and more popularity – becoming a favourite in subcultures and innumerable groups. Shop online now with Sun & Sand Sports and join the Converse Chuck Taylor All Stars hype. Have the products delivered to your doorstep in Riyadh, Jeddah or anywhere else in KSA. Don’t forget to subscribe to our newsletter to get updates on the latest in sports fashion.